A.B. Wilkinson is an assistant professor of history at UNLV. He teaches courses on Colonial North America, the U.S. Revolutionary Era, and early U.S. History. 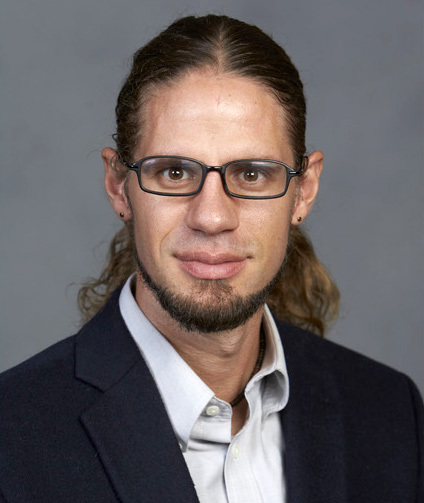 He also has research and teaching interests in African American history, Native American history, ethnic studies, the U.S. South, and critical race theory in the Americas. Wilkinson specializes in studies of mixed-heritage peoples and ideas concerning ethnoracial mixture in colonial North America and the United States. He is working on a book manuscript that explores how we first came to think about racial mixture in North America. He is a graduate of Dartmouth College, completed the Master of Arts Program in the Social Sciences (MAPSS) at the University of Chicago, and earned his Ph.D. in history at the University of California, Berkeley.